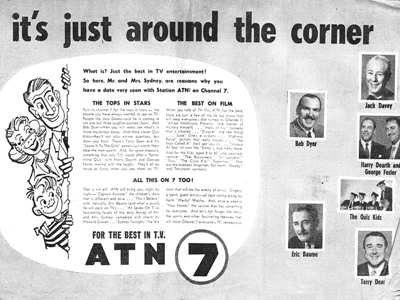 The opening night of Sydney’s second commercial channel ATN7 was under threat from not happening at all. On Sunday, 2 December 1956, just hours before ATN was to make its official debut, a massive thunderstorm swept through Sydney. 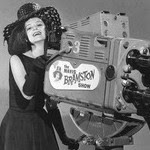 The weather brought power down across a number of suburbs — including Epping, where the new ATN “Television Centre” was based. Not only was there no power for hours but rain managed to leak through the roof. Performers and musicians doing their rehearsals in the afternoon had to do so in front of car headlights being beamed into the studio. The 200 VIPs making their way to the official opening function had arrived at Epping in torrential rain and had to make their way through mud tracks to get to the still incomplete building. Power was finally to be restored to the studios barely an hour before airtime, which was just as well because the bulky studio cameras needed 45 minutes to warm up before they could be put to work. The opening night’s broadcast began with a test pattern (pictured) at 7.00pm, then the official program commenced at 7.30pm. First up was a religious greeting before the national anthem leading in to the opening speeches. Among those to welcome the station to air included chairman of the Australian Broadcasting Control Board, Robert Osborne, and the state minister for labour, Abram Landa, attending on behalf of New South Wales Premier Joseph Cahill, who was unable to attend. 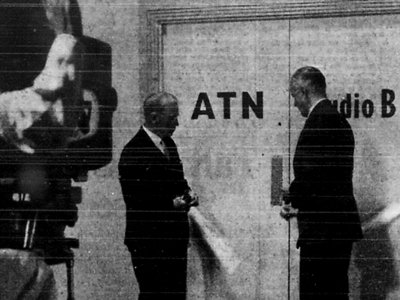 Postmaster-General Charles Davidson (pictured above right) then cut the ribbon stretched across the doors to Studio B in declaring the station open before yet another speech, this time by former Justice Allan Maxwell, chairman of ATN’s parent company, Amalgamated Television Services. Then it was over to the night’s entertainment. Given the nature of the weather that afternoon it was perhaps ironic that the title of the channel’s opening gala was A Shower Of Stars. The 75-minute variety special featured ATN7’s orchestra conducted by Denis Collinson with performances by American performers Joe “Fingers” Carr and Virginia Paris and local stars Bettina Welch, the Berkeleys and artists from the Phillip Street Theatre revue. After the variety special was ATN7’s first movie presentation, Folly To Be Wise. The station’s first news bulletin, a 15-minute presentation including filmed highlights from the opening formalities earlier in the evening, closed the night’s programming. 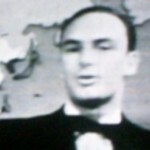 By the end of the night, viewers had been greeted by some of ATN’s first on-air presenters, including Eric Baume, Keith Walshe, Del Cartwright and Harry Dearth, and station programming executive Len Mauger. At its launch ATN promised around 37 hours of programming a week. Weekdays began with Your Home with Cartwright at 4.30pm, followed by 90 minutes of children’s program Captain Fortune from 5.00pm. Imported series like The Cisco Kid, Superman, Steven Donovan Western Marshall and Wild Bill Hickok were the lead in to Australia’s first current affairs program, At Seven On 7 hosted by radio 2GB‘s Howard Craven. There were more imported series at 7.30pm — shows like Victory At Sea, Burns And Allen, Susie and The Adventures Of Sir Lancelot — before ATN’s news at 8.00pm with Brian Wright. Eric Baume then presented a nightly 15-minute editorial, This I Believe, before another hour of imported fare. Keith Walshe hosted Australia’s first ‘tonight’ show, Sydney Tonight, screening five nights a week at 9.30pm, before station closedown at 10.30pm. Weekend programming started after 6.00pm and was similarly wrapped up by 10.30pm. Over the next few months ATN would reveal a growing slate of Australian production — mostly adapted from existing radio programs: Bob Dyer‘s Pick A Box and It Pays To Be Funny, Jack Davey‘s Give It A Go, The Pressure Pak Show and The Dulux Show, Terry Dear‘s Leave It To The Girls, John Dease‘s Quiz Kids, and Harry Dearth and George Foster hosting Pantomime Quiz. 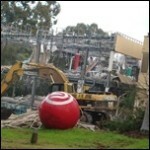 The new studios at Epping were considered the largest out of the six TV stations launching in Australia at that time. They were equipped with six Marconi Mark III cameras — worth £10,000 each. ATN’s Studio B measured 15 by 21 metres, and the later completed Studio A promised double the floor space again. Lighting for one studio alone cost £17,000 and the station’s Outside Broadcast van, which included its own control room, cost £66,000. The overall technical installation, including the transmission tower on Gore Hill, represented an investment of £500,000 by the station’s owners. 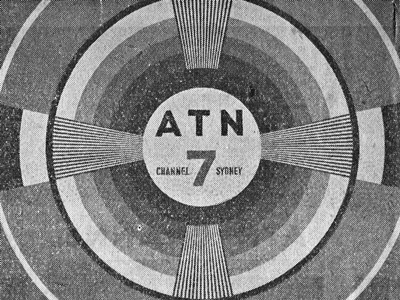 The launch of ATN7 marked the completion of the first stage of the introduction of television in Sydney — with TCN9 and ABN2 already in operation. 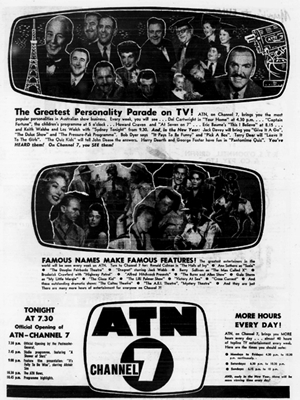 Over the next few years ATN would lead the industry with a number of ‘firsts’: the first Australian station to install a videotape machine; the first breakfast program, Today; the first serial drama, Autumn Affair; and was a partner with GTV9 in setting up ‘Operation Kangaroo‘, the first direct television link between Sydney and Melbourne. The Epping studios would continue to host production for ATN for over 50 years before the site was demolished in 2010. 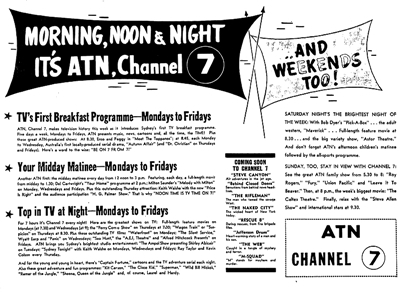 At the time of its launch in 1956, ATN7 had partnered with Melbourne’s GTV9 for sharing programs and for sales representation. 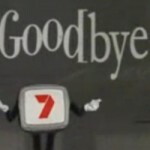 When GTV9 was taken over by Frank Packer and aligned with TCN9 in Sydney a few years later, ATN7 set up a new affiliation with HSV7 in Melbourne — creating the Australian Television Network, now the Seven Network. Seven in Sydney now has news production based at Martin Place in the CBD and utilises production facilities at the Australian Technology Park in the suburb of Eveleigh. Source: Sydney Morning Herald, 15 October 1956, 2 December 1956, 3 December 1956, 20 October 1958. Those Fabulous TV Years, 1981. Forty Years Of Television: The Story Of ATN7, 1996. 50 Years Of Television In Australia, 2006.